With TracVision RV1, you can enjoy satellite TV programming in your RV, just like you enjoy it at home. The reliable ultra-compact (34.3cm, 13.5") and lightweight RV1 features advanced technology that provides superior in-motion performance. The system's single-cable design makes it a snap to replace an existing satellite TV antenna. Installation is fast and easy so you can start enjoying TV on the road in no time. 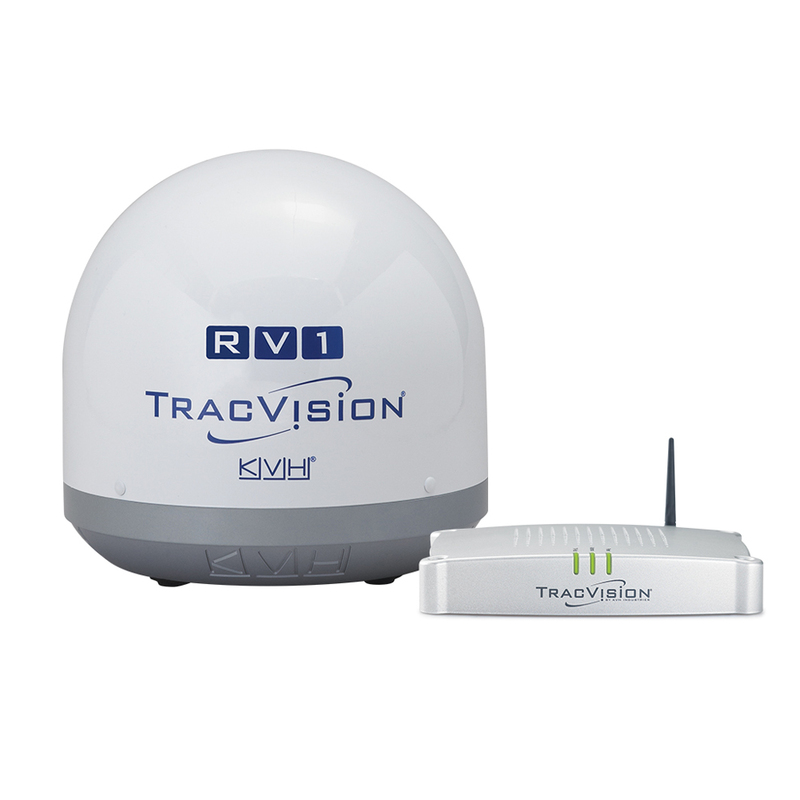 The DVB-S2 compatible TracVision RV1 supports programming from DIRECTV®, DISH Network® HD, Bell TV, and select linear Ku-band regional services in Europe. With capability for multiple receivers in different locations within the vehicle, RV1 helps ensure everyone has programming they enjoy. The RV1's TV-Hub is an IP-enabled antenna control unit that enables antenna system information from any smartphone, laptop, smart TV, or computer.